Here are some interesting random facts about parrots.You may find some of them amazing. 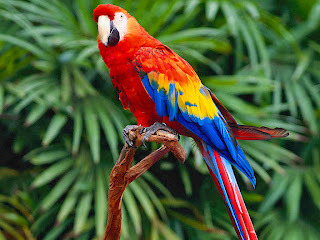 Parrots do not have vocal chords.Sound is produced by the parrots by the expulsion of air across the bifurcated trachea. Parrots are known to be a cute and talkative birds who loves imitating human conversation. Just like how the animal advocates via http://dissertationssupreme.blogspot.com/ do to preserve different species.